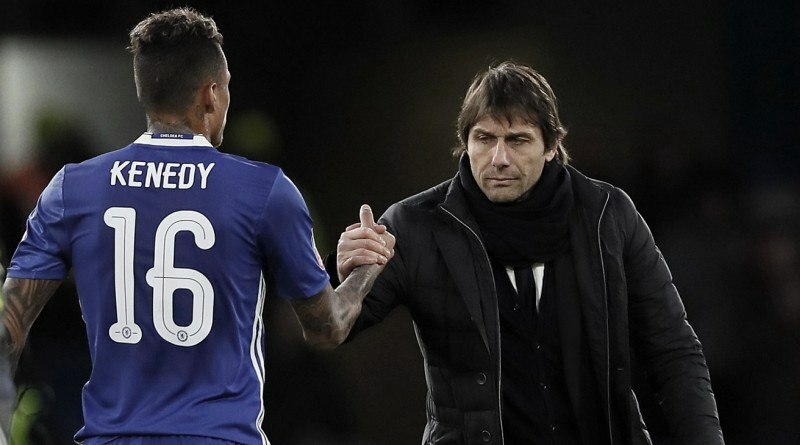 Newcastle are looking to loan Kenedy after British media revealed that they are in advanced negotiations with Chelsea ahead of a potential move. The Brazil international was signed by Chelsea in August 2015 from Fluminense for a fee of 8 million euros. The 21-year-old has a contract until 2020 with the club. Kenedy made 26 appearances across all competitions for Chelsea, scoring three goals and supplying two assists in return. Kenedy has represented Brazil at Under-17, Under-20 and Under-23 level, winning 22 caps and scoring seven goals. The Brazil international is one of the more likely players to be offloaded by Chelsea this winter and the list of suitors in the Brazil international continues to grow. Rafa Benitez is looking to shore up his defensive options and Chelsea’s Kenedy happens to be a target. Newcastle will be in the market for just a handful of statement signings who can improve the first-team. The Brazil international would be a versatile addition for the Newcastle, having featured at left-back and in a wider midfield role. According to the report, the Magpies wanted the Brazilian in the summer, and look set to finally get their man on a deal until the end of the season. The deal could be all signed off in the next few days. The left flank is a position Newcastle were desperately trying to strengthen, and Kenedy is able to operate anywhere down that channel. A loan move to Newcastle is exactly what Kenedy needs to reignite his career, and we hope he is able to do just that.